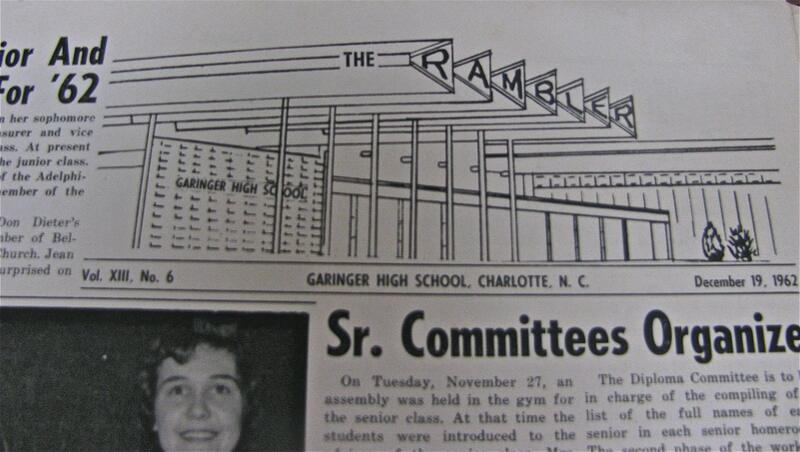 Garinger High School and The Rambler newspaper share a rich history in Charlotte. 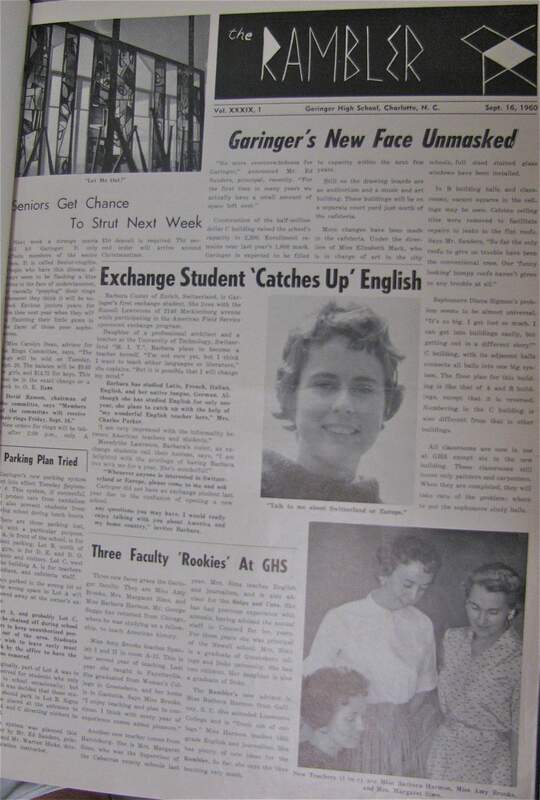 Today’s Garinger dates back to Charlotte High School, which was the city’s first public high school. It opened in 1909 where Central Piedmont Community College’s Central campus now sits. 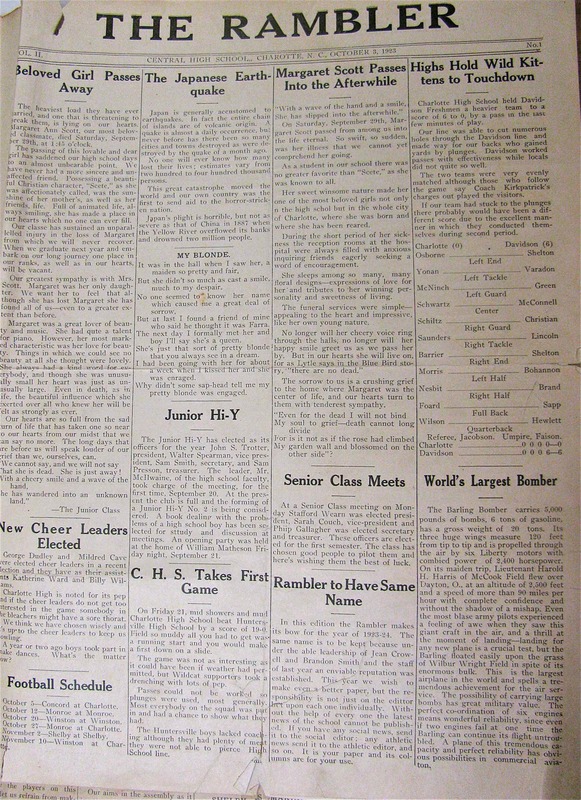 Charlotte High students and staff established The Rambler newspaper on Nov. 22, 1922 – more than 90 years ago – in order to report on campus people and events. 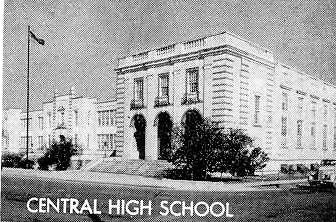 The school was renamed Central High School a year later, but The Rambler name remained. 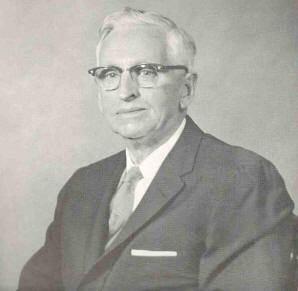 Elmer H. Garinger was a superintendent who wanted to integrate Charlotte schools. 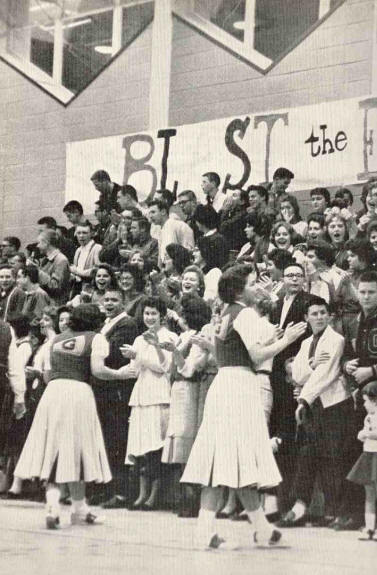 1959 was a banner year for Central High. 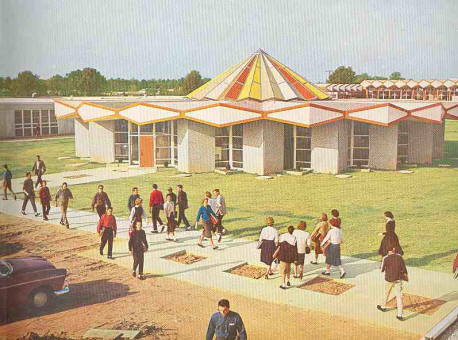 That’s when the brand-new Garinger High School opened on Eastway Drive. Central High students moved from their small building near downtown Charlotte to our sprawling, 63-acre campus. The new school was named after Elmer H. Garinger, a longtime superintendent who pushed for racial integration of Charlotte’s schools. Garinger also played a pivotal role in creating Charlotte College, which is now UNC Charlotte. Cheerleaders pump up the crowd in the Garinger gymnasium. 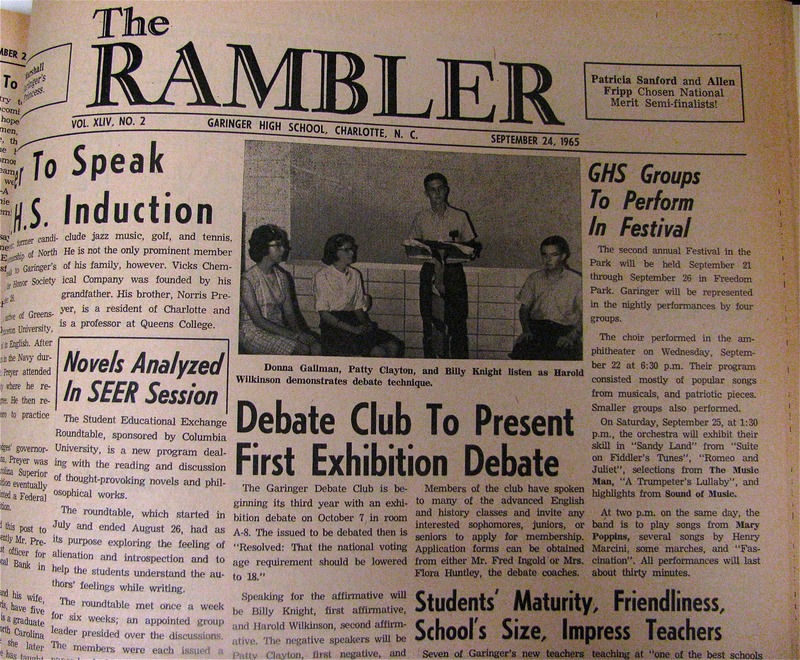 The Rambler remained the school’s newspaper through all these changes, covering the people, events, sports and issues of the day. 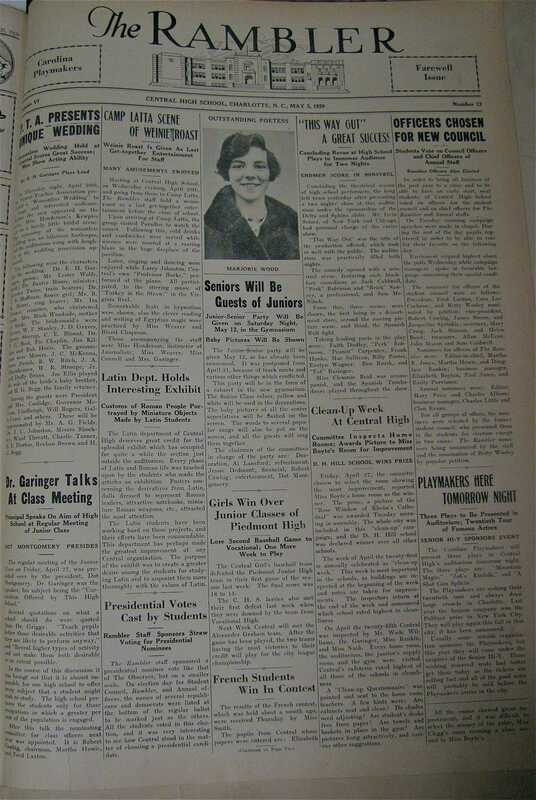 It was published continuously until the mid-2000s, when Garinger was split into five separate schools. The five schools began the transition back into one Garinger High during the 2011-12 school year. 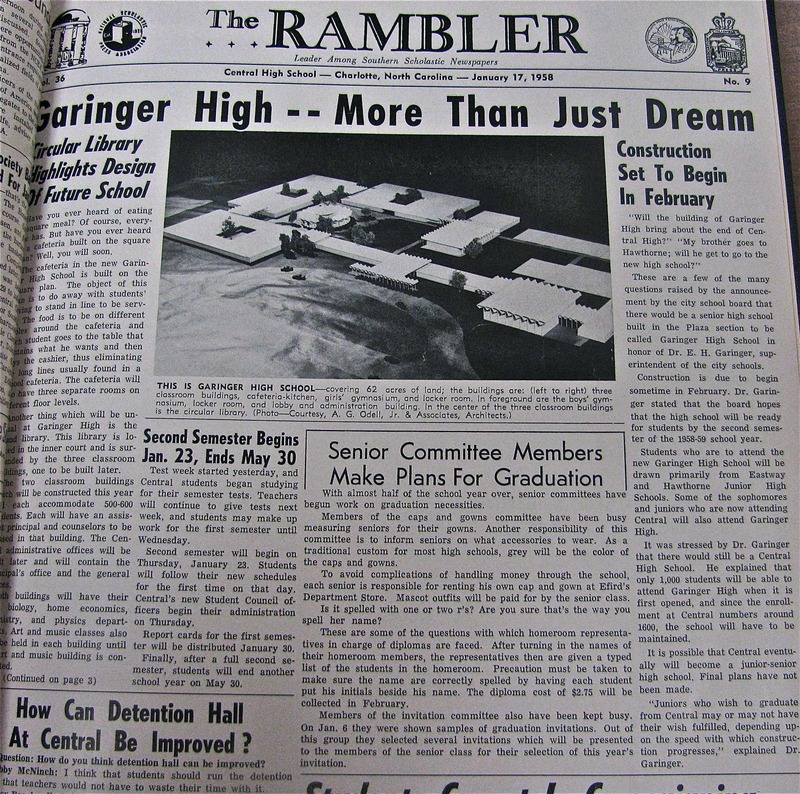 In fall 2012, The Rambler was reborn at www.garingerrambler.com, becoming our school’s first online newspaper. We hope to continue coverage for many decades to come. The Rambler….it’s a “G” thang! always remember them, in my prayers!